The North Central Washington Hispanic Chamber of Commerce has the honor of inviting you to Join us for our 15th Annual Scholarship Banquet to gather funds for the scholarships that are given to local students annually. On Friday June 19th from 5pm to 9pm at the Senior Center on 1312 Maple St. in Wenatchee WA. There will be dinner, drinks and live entertainment from Mariachi "Estrellas De Oro". And a silent auction. La Camara Hispana de Comercio de Norte Central Washington, le invita a su decimo quinta Cena de Gala para reunir fondos para becas que se daran a estudiantes locales. Habra cena, bebidas y entretenimiento en vivo con “Mariachi Estrellas de Oro” ademas de una subasta en silencio. 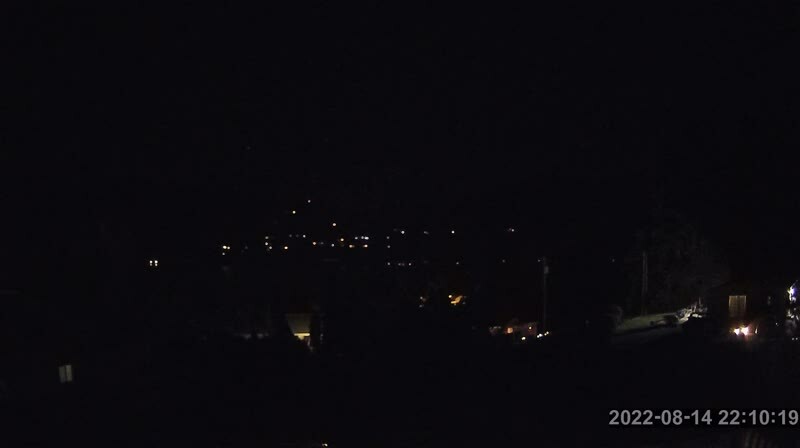 Para informacion de patrocinios, boletos o mesas llamar a Lorena 670 –8575 area 509 670-8575. Membership Renewal - Is your's in? The Annual Meeting of the Foundation will take place at 7 PM, May 11, at the Lake Chelan Reclamation District Offices in Manson. GREAT NEWS AT THE ORCHARD! Since purchasing the Buckner Orchard from Harry and Lena Buckner in 1970, the National Park Service has employed seasonal workers to maintain the orchard. For the past 20 years, Laurie Thompson has, as a seasonal employee, cared and nurtured the historic trees. In March, that all changed. With little fanfare, and after months of process, the orchardist position at the Orchard was designated a permanent position and Laurie was hired to fill it. This is great news for both Laurie and the Orchard! Laurie will no longer have to continually reapply for the seasonal work, and funding is now on a more secure basis for care of the Orchard. Attached is an NPS document laying out the how and why of the next phase of renovating the Buckner Home for future NPS housing at the Orchard. This is a worth-while read if you are interested in what is happening with this historic house. Renovation was begun in 2014 and was detailed in our http://bucknerhomestead.org/wp-content/uploads/2015/02/BHHF-2014-ANNUAL-REPORT.pdf Annual Report and this document. Have you renewed your Foundation membership for 2015 in support of our work at the Orchard? Forgot? Its never too late! Would you like to support our work by acquiring your first membership? Guess what, its not too late for that either! Memberships and donations can be sent to BHHF at PO Box 184, Manson, WA 98831. Here the link to our membership page and how to be involved: http://bucknerhomestead.org/get-involved/"
The first apple blossoms of the year began emerging on April 19, and rushed head-on into full bloom three days later. Unfortunately, or fortunately, we missed the full-bloom but did see the early blossoms as they began to sneak out in the warm April sun. The Manson School District Board of Directors announced the 2015 Blue and White Excellence Awards winners at its March board meeting. Nominations were submitted by staff, students, and community members. Award recipients were: English Language Development Coordinator/ELA Teacher, Katie Sperling and Manson School Bus Driver, Lynn Chamberlain. The Manson School District Board of Directors will officially recognize the award winners at its regularly scheduled board meeting on Monday, April 27 at 6:00p.m. in the elementary library. The recipients will also be recognized on May 5 in Wenatchee at the Convention Center at the annual North Central Educational Service District’s Excellence Awards Banquet. A big congratulations to other nominees: Addie Velasco, Kim Williams, Jane Pratt, Kevin Sanford, Amy Anderson, and Janine Sanford. 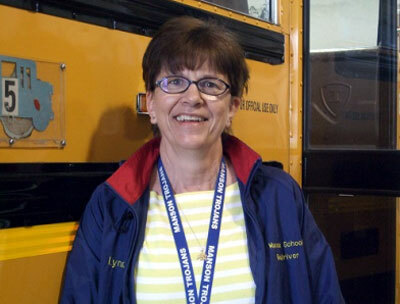 Lynn Chamberlain - A nominator shared, “She has an excellent driving record and is appreciated by her riders/students, parents and colleagues alike. 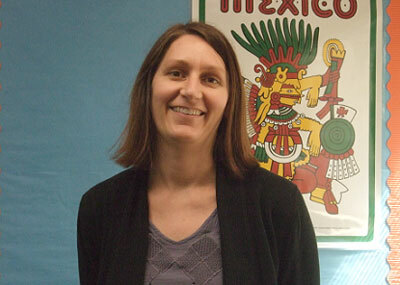 Lynn goes beyond her working role in support of students by voluntarily attending many school and athletic events. She is a “true blue” Trojan fan. HYAK – Drivers traveling on Interstate 90 east of Snoqualmie Pass next week should plan for minor delays due to rolling slowdowns and lane closures. On Monday, April 13 through Friday, April 17 the Washington State Department of Transportation and contractor crews will close the shoulders in both directions during the day on I-90 from mileposts 47 to 55. Crews will also be conducting rolling slowdowns during the day and close a single lane eastbound at night from mileposts 56 to 61. Drivers will also experience minor delays due lane closures from 7 a.m. to 3 p.m., Monday, April 13 through Thursday, April 16 at mileposts 88 to 93 and at milepost 79. Visit the What’s Happening on I-90 Web page for up-to-date information on construction projects and traffic impacts and to sign up for email updates. LAKE CHELAN, WA (April 6, 2015) — The new Lake Chelan Chamber of Commerce & Visitor Center opens for operation April 25, 2015, starting with a public grand opening celebration from 9:00am to 5:00pm. The Lake Chelan Chamber of Commerce staff will host visitors for building tours and light snacks. Over the past three years the Lake Chelan Chamber of Commerce Board of Directors has been working diligently to find a new home for our organization, knowing that our current lease with the Chelan County Public Utility District at 102 E. Johnson was set to expire. The new location both accommodates our growing organization and houses our vision for a state-of-the-art visitor center that is representative of all the Lake Chelan Valley has to offer. We have been extremely fortunate to find a partner that was willing to work with us to achieve something fantastic for our community, visitors and businesses. With the support and investment of the Naur Group, LLC, we remodeled an 8,000 square foot building in the heart of downtown Chelan located at 216 E. Woodin Avenue. We have entered into a 20-year lease agreement with the buyer with the option to renew for an additional 15 years. “We are extremely excited for the opportunities this new space will provide our organization, our membership, our visitors and our entire community. This is an exciting step forward in the growth and evolution of our organization and the Lake Chelan Valley,” says Chamber Executive Director, Mike Steele. This new building will include office spaces, conference rooms, and a state-of-the-art Visitor Center. The office spaces will provide individual work areas for our organization’s staff. In addition, we will rent space to new or fledgling businesses. This practice, known as accelerator space, allows businesses to utilize the common resources of our building, receptionist, conference rooms, copy centers, etc. ; while growing their own business. Once they have developed a solid foundation, they will move out of the building to find their own space. The Lake Chelan Chamber of Commerce has also received tremendous support from the business community of the valley. The sponsorship of different spaces of the building by local businesses have allowed us to reach our goal of creating something that is a community asset, an impressive visitor experience and great resources for our businesses. We would like to thank the Port of Chelan County, Sage Vacation Rentals, Coldwell Banker Lake Chelan Properties, Chelan County Public Utility District, My Chelan Vacation, Tsillan Cellars, and Chelan Rotary for their generous support. Jef Paige interviews Bob Webster about music, youth, Cambodia and more. Plus Bob picks out a few tunes on the guitar! As indicated in our http://bucknerhomestead.org/wp-content/uploads/2015/02/BHHF-2014-ANNUAL-REPORT.pdf">Annual Report for 2014, we were able to do many good things at the Homestead and Orchard thanks to your support, contributions, and volunteering. If we are to continue this good work; funding and volunteering must continue, as well. It is still unknown just what specific impact continued Federal budget cuts will have on the work at the Orchard, but we know there will be loss of time and/or resources available to the National Park Service this year, making our work all the more important. The Buckner Orchard and Homestead need our support more than ever! RENEWAL - Your check, made out to the Buckner Homestead Heritage Foundation (BHHF), should be mailed to PO Box 184, Manson, WA 98831. As a renewal, we will have your information on file. Please include your e-mail address, as this is how we receipt and communicate with members in a cost-effective manner. NEW MEMBERSHIP - Download and print the membership form found at this link http://bucknerhomestead.org/wp-content/uploads/2015/02/Membership-form2015.pdf">(Membership Form) and mail to PO Box 184, Manson, WA 98831. DONATIONS - Another form of support for the Homestead and Orchard is a donation. This may be for a specific purpose or as a non-specific donation to the Foundation. 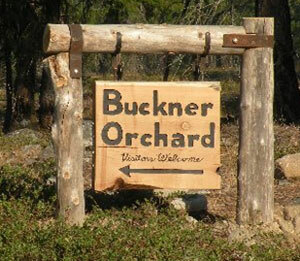 Click on the Buckner Orchard sign on the left to read our 2014 Annual Report. Lots of photos are included! Selection for the Manson Apple Blossom Royalty will take place Saturday, January 24th at 6:30 p.m. at the manson High School Gym. 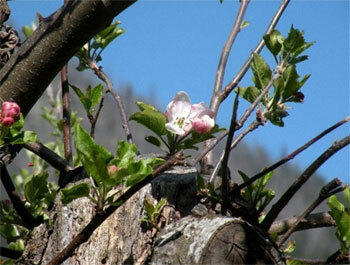 The theme for this year's Apple Blossom Festival is "The First Harvest." Katelyn April Stocker - Katelyn April Stocker is the 18 year old daughter of Frank and Kathy Stocker. She has a younger sister, Kimberly. Katelyn was on the honor roll. She played on the volleyball team and the golf team for Manson. She helped with the concessions, food drive, blood drive, and is a volunteer at the Habitat Thrift Store. Since childhood, Katelyn’s interests and hobbies have been swimming, hiking, camping, golfing, traveling, sewing, singing, volleyball, and American Sign Language. Her after school activities include dance, gymnastics, karate, jump roping, and choir. 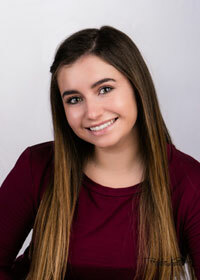 Katelyn says "I would really appreciate the opportunity to be on the Manson Apple Blossom Royalty because I would enjoy the new experiences and challenges. I could also be an example for people who are shy like me to show you can overcome personal obstacles. I hope to increase my own self confidence and learn how to enhance my own natural beauty." Katelyn would like to attend college at George Fox University, WSU, or North West College of Art and Design. Her goal is to become a special effects artist, American Sign Language interpreter, or a vocal performer. Katelyn's favorite TV shows are Psych and Quantum Leap and her favorite novels are Distant Waves and The Running Dream. Aylee Willow Neff - Aylee Willow Neff is the eighteen year old daughter of Greg and Sue Neff. She has 3 older brothers: Aaron, Kyle, and Schuyler, and 2 older sisters: Megan and Keisha. Aylee is a member of FFA, was a State Creed Speaker in 9th grade, was treasurer in 10th grade, and was president 11th and 12th grade. She has been a member of National Honor Society for 3 yrs. Aylee was Class President in 10th grade. In her junior year she was both the “Washington Aerospace Scholar” and a“Joint Science Educational Project Semifinalist” as well as Chelan County Fair Ambassador. Aylee has been on the High Honor Roll grades 9-12. 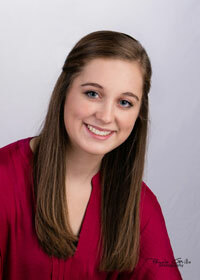 She has participated in concert, marching and pep bands all throughout her high school career. Aylee played basketball grades 9 and 10, volleyball grades 9-12, and track and field grades 9-12. She qualified for the State 2B track championship meet for the last three years. Aylee enjoys spending time with family, volunteering at the community library, reading, baking, sewing, and drawing. Aylee says "Becoming Manson Apple Blossom royalty stands for more than just a crown; it represents a desire to give back to the community I love and be a part of the community celebration that focuses on bringing people together. I firmly believe in those values at the festival." Aylee's future plans are to attend the University of Washington to major in Biochemical Engineering. Her favorite TV show is Bones and favorite book is Miss Rumphius. Jana Russell - Jana Leigh Russell is the seventeen year-old daughter of Julie Russell. She has an older brother, Jesse, and his fiancé, Andrea Rainey, who are both attending the University of Washington. Jana is a member of Honor Society, has been on the Knowledge Bowl state team her junior year, and in FFA for 4 years where she served as photographer, sentinel, treasurer, and state participant her junior year. Jana was the treasurer for her junior class and currently her senior class, ASB representative/treasurer, and senior representative to the local association of student councils. Jana played volleyball 4 years, was captain her senior year, has played basketball 4 years, and track 3 years. She was captain of the track team her junior year. 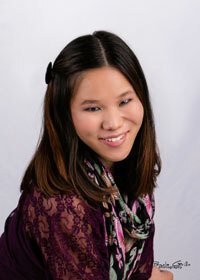 Jana is an avid reader, has been snowmobiling for 5 years, swims, babysits, and enjoys holiday baking. Jana says " Along with serving and representing the Manson community, I want to be Apple Blossom Royalty to prove to myself, the community, and every shy little girl out there, that with a little hard work, dedication, and of course, a smile, dreams really can come true." Future plans for Jana include attending a four-year university such as the University of Washington or Stanford. She wants to major in Biochemistry and then work at a cancer research center. Jana's favorite TV shows are Glee and America's Got Talent and her favorite novels are the Harry Potter series. Kristen Adrienne Gibson - Kristen Adrienne Gibson is the seventeen year-old daughter of Brock and Tanya Gibson. She has 2 older brothers, Adam and Bret. 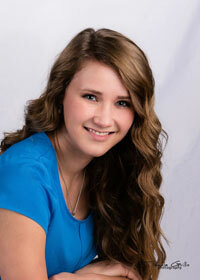 Kristen has been on the high honor roll and earned Academic letters throughout her high school years. She lettered in volleyball and softball, serving as captain of both teams, and received the Most Consistent Server her Junior year. She was voted “Most Inspirational Cheerleader” for the Basketball season her freshman year, and "Most Inspirational" in volleyball her senior year. Kristen was a member of FFA as a Freshman, has been in Knowledge Bowl all 4 years, has been in the National Honor Society for 2 yrs, and FBLA for 2 yrs, where she currently serves as the Vice-President. Kristen was ASB Secretary her senior year and Assistant Secretary during her junior year. Kristen was chosen to attend the Washington State Legislative Conference in her junior year and the Washington Student Leaders Conference in her senior year. She also received Best of Show in the regional art show, for a sculpture she created with two partners. Kristen has enjoyed skiing her whole life. She also enjoys volleyball, kayaking, hiking, Cross Fit, watching football, and spending time at her Grandma Hobbie's boat shop in the summer. Kristen says. "There are not enough words to express the love I have for this community. I have deep roots here and I cannot imagine loving any town as much as I love Manson. To represent my community as Apple Blossom royalty and to be a role model for little girls, as past royalty were for me, would be the greatest honor and a dream come true." Future plans for Kristen include attending the University of Washington to earn a degree in Communications and Business Administration. Her dream is to become a sideline reporter for the National Football League. Her favorite TV show is Hart of Dixie and the Harry Potter series are her favorite novels. Kendra Lynn Ellsworth - Kendra Lynn Ellsworth is the eighteen year old daughter of Mike and Diana Ellsworth. She has two older sisters, Sierra and Hailey. Kendra is currently ASB Vice-President and previously served as Secretary and Assistant Secretary. She has attended Chewelah Peak Leadership Camp and was an ASB delegate to WASC. She has served as Class President for two years. Kendra participated in Knowledge Bowl for two years, FFA for 4 years and was an officer for 3 of those years. She raised the Grand Champion Market Hog in 2013 as well as receiving a Reserve Champion ribbon for Showmanship. Kendra lettered in varsity volleyball 3 years receiving the "Top Offensive Player" award and was chosen as the "First Team All -League". She has lettered in varsity basketball all 4 years, receiving the "Captains Award" and "Most Inspirational" award. Kendra has lettered in varsity softball for 2 years and received the "Team Captain" and "MVP" awards and was chosen as the "First Team All-League" last year. Kendra enjoys fishing with her Dad, spending time with her family, and playing with their huge chocolate lab, Oakley. She also enjoys Cross Fit, scrapbooking, and trying new Pinterest projects. She loves to sing, but doesn't call it one of her talents. Kendra says "Manson Apple Blossom is a wonderful tradition that I have always known I wanted to be a part of. It would be an honor to have the opportunity to be a part of the royalty that represents our community and shares with others the beauty of our small town." 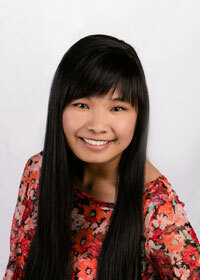 The future plans for Kendra are to attend Central Washington University where she will major in Elementary Education. Her favorite TV show is The Walking Dead, and favorite novels are the House of Nights Series. WENATCHEE – Beavers are destroying newly planted trees and shrubs in Entiat Park (currently closed – except for the boat ramp area), as well as destroying important shoreline vegetation in Walla Walla Point, Confluence and Riverfront parks. As a result, the PUD is expanding its existing contract with the U.S. Department of Agriculture (USDA) – Nuisance Bird & Animal Control Services to trap, remove and destroy the beaver. The PUD attempted to divert the beaver by putting cages and/or using sand-infused paint around the base of the trees in Entiat Park, but the beaver continued to destroy the trees and shrubs. Under its Federal Energy Regulatory Commission (FERC) license, the PUD is responsible for providing for and maintaining critical river shoreline habitat. The beaver activity is in direct conflict with the PUD’s license requirements. At this time of year, the only alternative is to remove and eliminate the beaver, since relocation wouldn’t be viable during the winter because the beaver would be unable to rebuild their dens. If the beaver remain a problem in the spring, the PUD will work with Okanogan County officials to relocate the beaver in an area where their dam-building could be a beneficial erosion control method in fire-destroyed areas. USDA will put signs in the areas where active trapping is taking place so that the public will keep their pets out of danger. The trapping will cease when the vegetation destruction stops. The USDA will trap on PUD property only.